The Baleno has been the first true success from Nexa premium dealerships. Ever since it was launched in October 2015, the B2 segment hatchback is garnering volumes in aplenty and it can often be seen in the top 5 of the monthly best-selling charts due to the consistency it maintains over main rival Hyundai Elite i20. Maruti Suzuki has had tremendous success with the Heartect platform based products in the last three or four years including Baleno. However, with the soon-arriving stringent emission standards and safety regulations, it has been making changes to its domestic portfolio with the inclusion of new engines. The tried and tested Fiat-sourced 1.3-litre DDiS diesel engine, present in several Maruti Suzuki models over the last decade or so, won’t be upgraded to meet the BSVI norms coming into effect from April 2020. Thus, a newly developed 1.5-litre K15B four-cylinder SHVS unit is gradually being introduced. For models like Baleno though, it won’t appear to be the case. In a recent spy video, the Baleno has clearly been spied with a Smart Hybrid badge at the tailgate. The Indo-Japanese manufacturer testing the hybridised Baleno is not something new and it suggests that it could be an export-spec model. However, a possible debut of a Smart Hybrid Baleno into local lineup cannot be ruled out either and the same strategy could be followed for other compact models as well in the near future. The K10C 1.0-litre petrol and K12C 1.2-litre petrol motors are offered with SHVS system in global markets on Baleno and the latter could be launched in India. Or else, the existing 1.2-litre K12M engine could be upgraded just ahead of the BSVI deadline with SHVS technology. 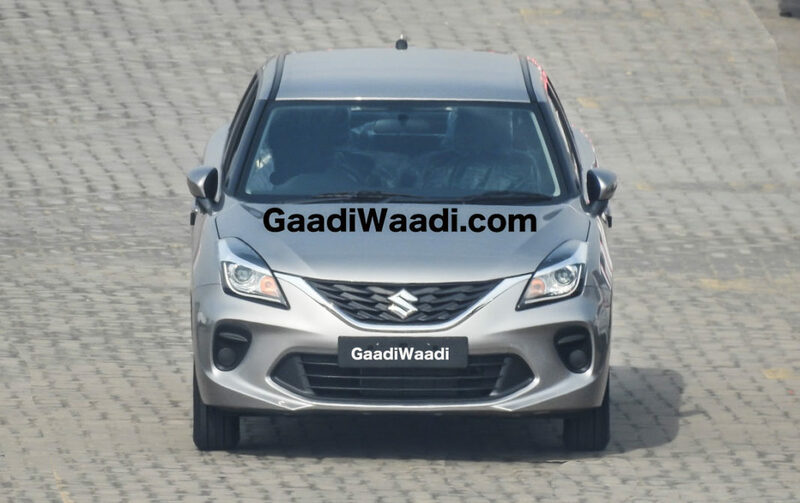 The CAFE (Corporate Average Fuel Economy) rules arriving in 2022 could result in Maruti Suzuki making this decision as well but we do not have any concrete information yet.